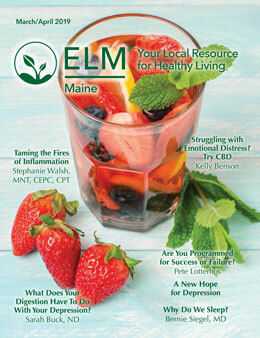 ELM™ | Maine is THE local resource for health and environmentally conscious readers who desire a holistic, natural lifestyle and the advertisers who want to reach them. 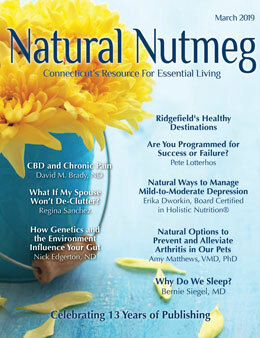 The magazine offers cutting-edge, timely information on natural health, wellness, green living, nutrition, fitness and organic products and is a free monthly publication distributed throughout Southern Maine. 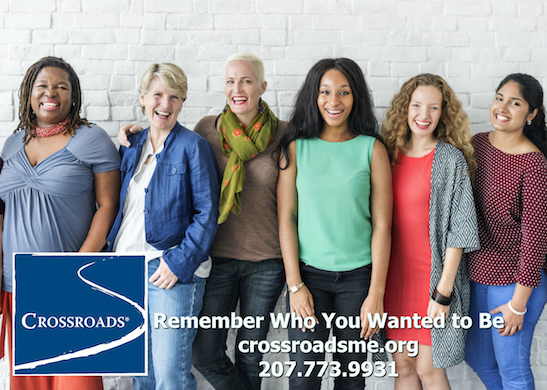 All of the content is submitted from local practitioners and business owners, so this is YOUR opportunity to educate your potential customers and patients. Over 75,000 readers pick up ELM™ | Maine each month, making it the perfect place for you to introduce your specialty or a new modality, brand your practice or business, or simply sell a product or service. And with advertising rates that are much lower than most print publications or other media outlets, this is an investment opportunity you can’t afford to miss. Most readers say they read the magazine cover to cover and they keep all of our issues for future reference. This means our readers purchase products and services from our advertisers all year long. “ELM™ | Maine has been the best marketing investment for my solo practice. Not only is the price of advertising reasonable, but Diane encourages letting my voice as a practitioner be heard. My work with clients is very personal and it’s difficult to set myself apart from other nutrition practitioners. Writing articles for ELM™ | Maine allows me to show I am an expert in my field while also connecting with the readers. Each time I write an article, I receive an influx of calls and emails saying they loved my article and want to work with me. “As a result of my exposure in the magazine I am receiving an average of 25-30 calls per week for patient appointments and workshop attendance. This more than pays for the cost of my ad. I would highly recommend advertising. It is worth every penny spent to work with people who have integrity and whose goal is for the greater good, not to mention being part of a community of people who want to save the world in whatever way they can. Please supply your name, phone number & email address. A media kit will be emailed to you immediately. How long have you had your practice/business? What kind of business/practice do you have and location? What is the biggest challenge your clients come to you to get help with?